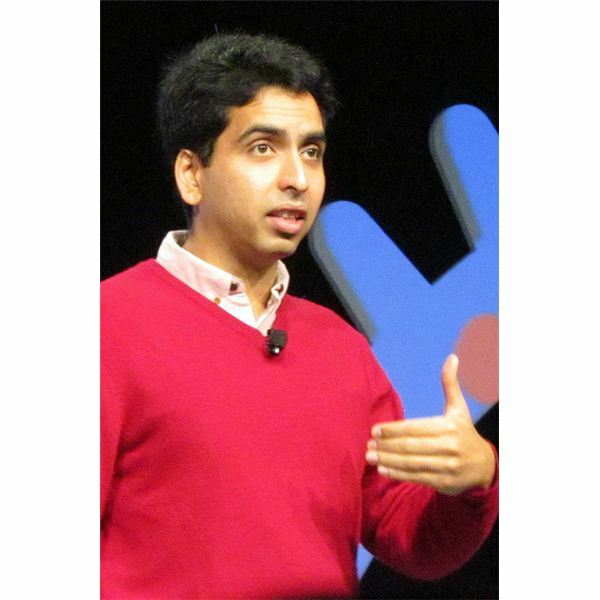 The Khan Academy is a non-profit e-learning organization founded and directed by Salman Khan. Since its inception in 2006, it has expanded dramatically to serve 10 million students per month. It offers over 6000 video tutorials and 100,000 practice problems. The tutorials have been viewed a half-billion times. Khan was born and raised in New Orleans, Louisiana. His father is from Bangladesh and his mother is from India. Khan earned a BS in mathematics, then an MSc and an MEng in electrical engineering and computer science from MIT before pursuing an MBA from Harvard. In 2004, Khan’s cousin Nadia came to visit him in Boston. She was having trouble with math and he was willing to help. When Nadia returned home to New Orleans, the tutoring continued via telephone and Yahoo Doodle notepad. The word spread through the family and Khan was soon on the phone with about 15 cousins routinely. He built a rough website where he could share lessons and correct problems. A friend suggested he make things easier on himself and try YouTube. Khan worked as a hedge fund analyst until the academy went big. He quit his job in 2009 to focus wholly on education. Signup is free and easy. Students can use their Facebook or Google profiles. Within moments, the academy is introducing itself. It leads with its mission statement: “A free world-class education for anyone anywhere.” Even “a friendly alien just trying to get a leg up in earthly biology” can use the resources. The site prompts students to choose a subject. Math, science, economics, humanities, computing and test preparation are available. The Academy also has content through partners such as the Museum of Modern Art, NASA and the Stanford School of Medicine. After selecting a subject, students are given a slate of subtopics and video lectures. They can choose whatever they want. After viewing, they can ask questions, read questions and responses from other students or take quizzes. The academy then suggests related content for the next lesson. The academy keeps track of student progress, keeps statistics and keeps track of goals. Every practice problem ever done is recorded for later review. Teachers, coaches and parents have access to the data also, so students are never alone. A new addition to the site is a badge system. Students can earn six different types, from easy-to-earn Meteorites for completing basic tasks to elusive Black Holes that require years of dedication. Badges are part of gamification in education. As with playing games, students gain points, jump levels and are rewarded based on statistical progress. Donations fuel the program. The Bill & Melinda Gates Foundation are major contributors. So are Ann and John Doerr, the Lemann Foundation and Google. Google gave $2 million specifically to create more courses and to have the library translated into the world’s major languages. The Carlos Slim Foundation of Mexico made a donation to expand the amount of content in Spanish. The O’Sullivan Foundation of Ireland donated $5 million in 2011 to expand the teaching faculty, expand content through Wikipedia-style crowdsourcing and help blend the content with physical teaching. 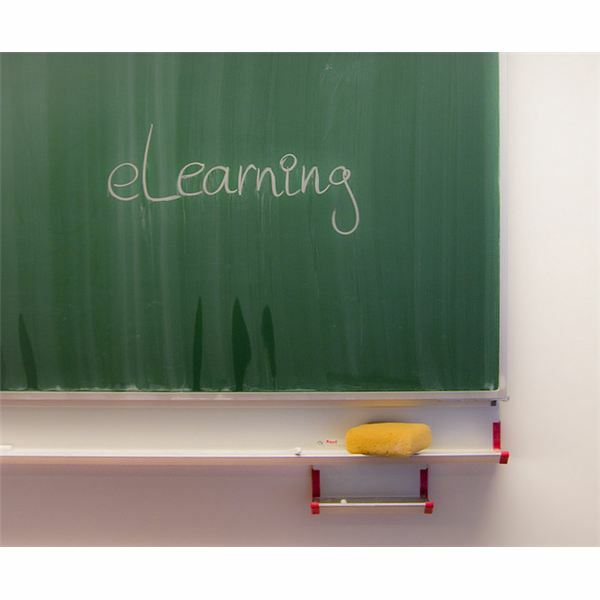 Khan video lectures, along with MIT’s OpenCourseWare, Gooru, TEDEd and the MediaCore Education Blog, have become essential to the Flipped Learning movement. Khan primarily focuses on STEM topics but has been expanding into the arts and sciences. The future shows hope for extensive horizontal and vertical growth. Teachers are encouraged to deliver feedback and add content to Khan Academy. Recently, some of Khan’s information was found to be inaccurate. They reviewed the material and chose to remove it. The academy continues to gain support, students, faculty and momentum. Learning will never be the same. Khan and his partners are putting everything comfortable about education over on its head.